Videotron wants to accelerate its business development in Ottawa, the company announced on Tuesday. The campaign, which will feature billboards, online ads, radio commercials and major event sponsorships, highlights the carrier’s customer service (which recently won a J.D. Power award) and LTE mobile network. “We want to energize this market by offering innovative services, attractive plans and the best customer experience anywhere,” said Bertrand Hébert, vice-president and chief marketing officer of Videotron in a press statement. Videotron has only two retail locations in the Ottawa area, one at St. Laurent Centre and one at Place d’Orléans, though it is planning to open a third this summer at Bayshore Shopping Centre. Videotron has long had a presence in eastern Ontario, but this marks an unusually aggressive stake in the ground that will no doubt spark rumours that Videotron may be attempting to inch out of its home province. In 2014 and early 2015, rumours of a national expansion were in full swing after Videotron spent around $300 million CAD in auctions for crucial 4G spectrum in the 700MHz and 2500MHz bands. However, in September 2015, an executive shut down those reports when he stated that Videotron did not plan to expand its network nationally. 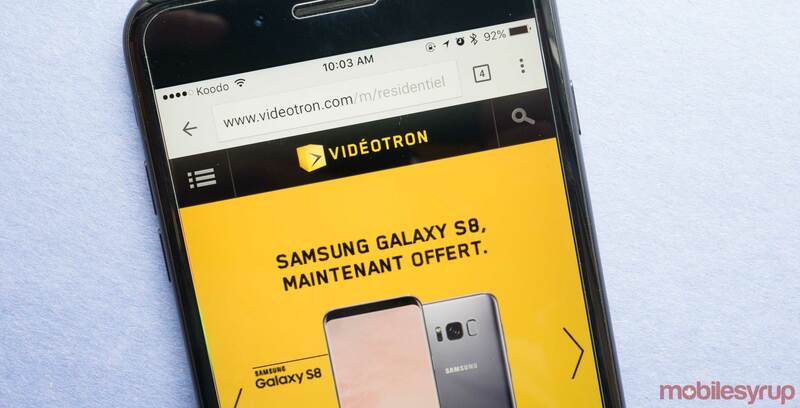 While it’s unclear whether Videotron has larger plans for Ontario, Ottawa-area customers can no doubt expect to see some enticing promotions to woo them this summer, in keeping with the generally lower rates the carrier uses to regularly undercut competitors Rogers, Bell and Telus. In fact, it seems the price-matching battles have already begun.